In my pre-Passover shopping, I made sure to buy two mangoes. What a perfect fruit for Pesach. (Passover) I had no idea what I would make with them but I knew they would be used. One of them went to this sweet and enjoyable recipe. Grease a baking dish - medium size. Peel sweet potatoes and cut into chunks. Add chunks to a pot of boiling water and cook for 15 minutes. 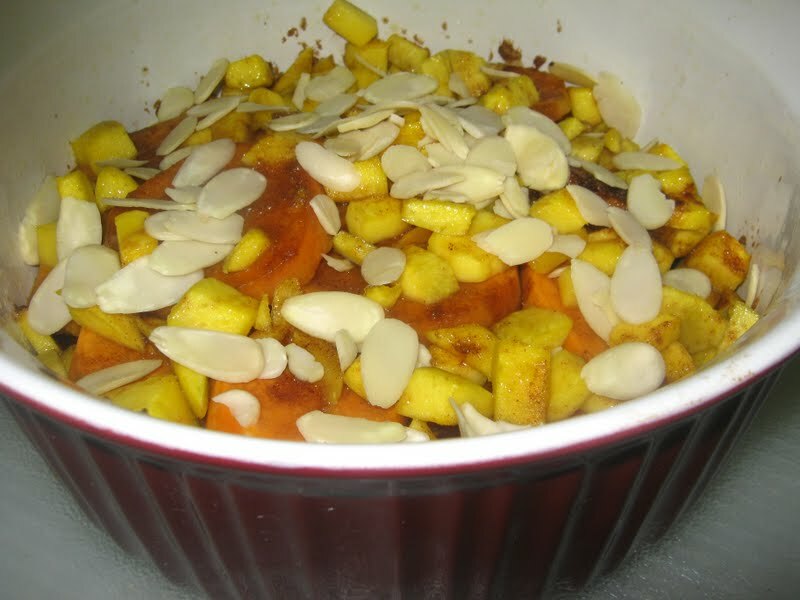 Add the brown sugar and cinnamon to mangoes and sweet potatoes in baking dish. 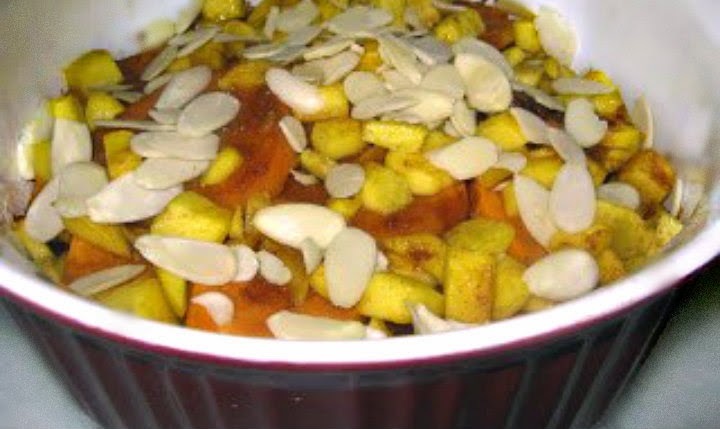 Top with sliced almonds and bake for an additional 20 minutes. This is a yummy dish.